CopyFX team continues to improve the services provided by our copy trading investment platform and is pleased to present you a new format of our blog articles – "Innovation digest". In this article, we’ll tell you about all changes and improvements of CopyFX, thanks to which you can increase the efficiency of your trading operations. 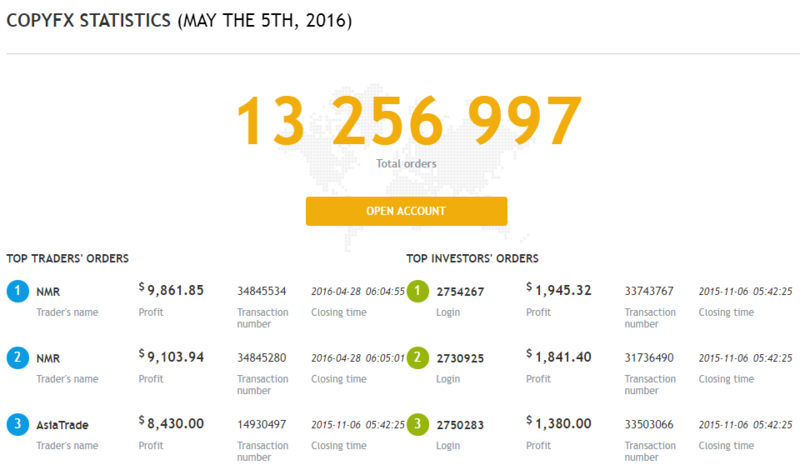 The most important innovation of this spring is the page with the platform statistics. Constantly updated information about the number of accounts, active users, and their geographic location is already available to all statistics lovers. You can use this information for your own purposes, for instance, to check what type of users (Investors or Traders) is more popular in the platform at the moment. Modern world communication is one of the most important tools in trading. After all, the more information you have, the simpler your way to the profit is. We’ve decided to add to the platform not only internal communications service, but external ones as well. From now on, Traders can change standard user pictures in their Cards, and add links to their social network profiles. This tool is sure to help you to increase your credibility and loyalty of already-existing and potential Investors. You can upload a user picture and add links to social networks profiles in "Personal information" section of your Members Area. Another useful feature is now available to Investors in the Trader’s Card – "Ask a question". 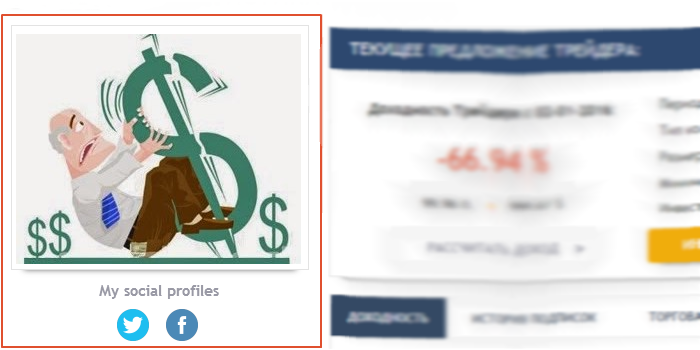 By clicking this feature button, you will be redirected to this Trader's thread at RoboForex forum, where you can communicate with them personally. You’ll be able to clarify details of their trading strategy, figure out which copying mode is the most suitable for the current offer, and handle any other matters – the list is limited only by your imagination. Now, Traders have an opportunity to attract other users’ attention to their current offer faster. A new field in the offer creation form, "Strategy name", will help you in this. Nowadays, a lot of Investors are interested in one particular strategy and look for Traders, who trade using this strategy. 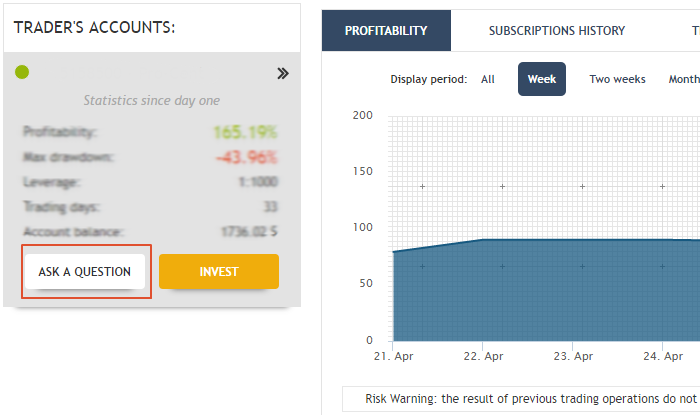 Your account, which includes the strategy name, will have more chances to make it into subscriptions of these Investors. A new very important and useful tool for Investors, "Calculate earning" has been added to recently updated design of the Trader’s card. By clicking this button, you will open Investor’s Calculator with the account of the Trader, whose Card you’ve just viewed. Convenient, isn’t it? All other settings of the Calculator may be changed at your convenience. The purpose of all improvements of the CopyFX platform is always the convenience of its clients, and we hope that our innovations will make your trading operations in the system even more profitable.